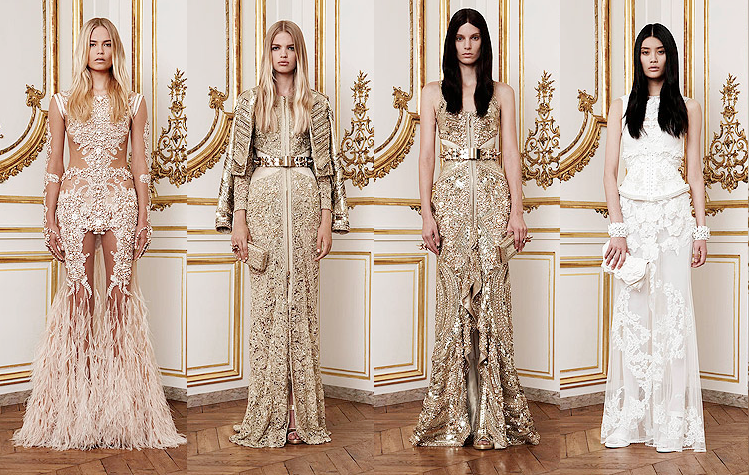 I’ve been a huge fan of Givenchy’s couture these last few seasons. Riccardo Tisci has a flair for the dramatic (not unlike John Galliano, before him at Givenchy) but he exhibits it in a most artistic, different and beautiful way. This year’s collection was influenced by an experimental Japanese dance technique, Butoh, and one of its most prominent dancers Kazuo Ohno. I love the contrast between the soft elements of the gowns — pleats, embroidery, feathers — and the tough, almost shell- or armor-like structure. 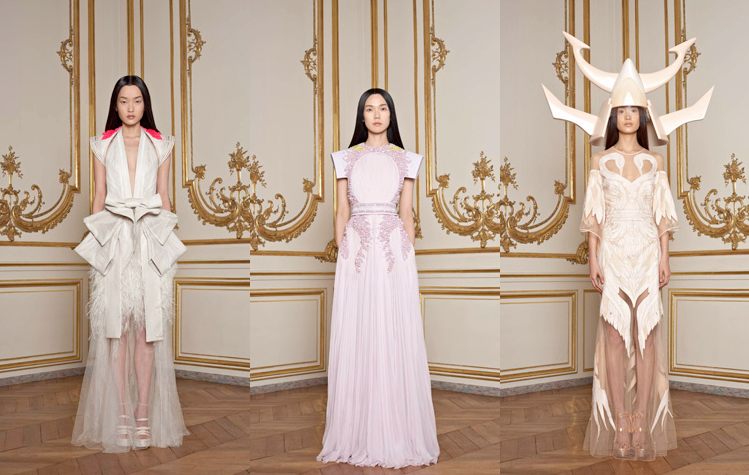 Two of the dresses even evoke an origami feel, with their bows and folds. 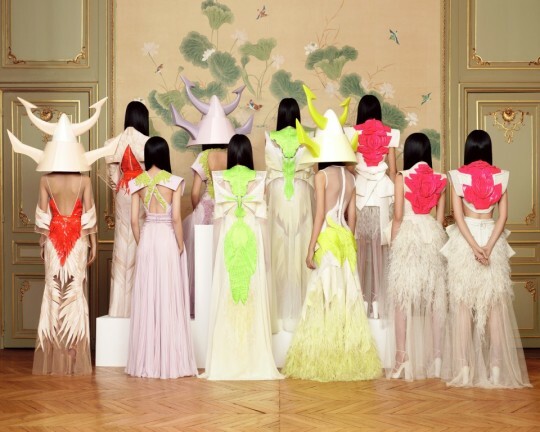 I call the lavender one in the middle of the photo as a red carpet gown, potentially at this year’s Oscars. How good would Michelle Williams look in that dress? 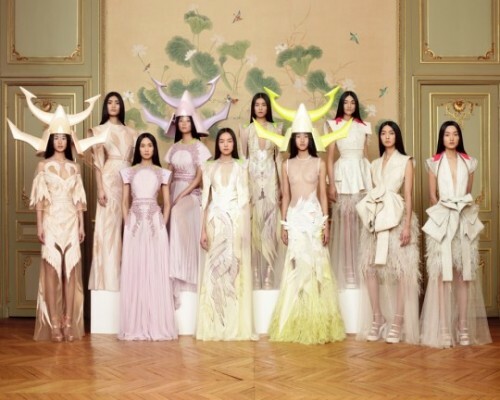 What’s also interesting is that Tisci chose to cast the entire collection with Asian models. It’s not out of character for him, as Tisci also famously cast his former assistant, Lea T., a transgender model for his fall 2010 ads and Stephen Thompson, an albino model, in the spring 2011 campaign. But the choice is still an intriguing one: even though the Japanese influence on the design is obvious, it’s a great moment for the representation of a minority group in the modeling world.